Chris Kelly’s fascinating fly-on-the-wall doc finds corruption and heroism in post-Khmer Rouge Cambodia. 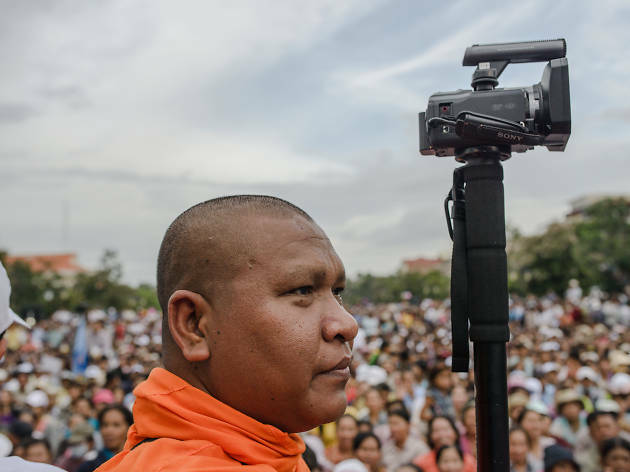 The Arab Spring made front pages across the world but this turbulent, fascinating doc shines a light on a much less well publicised popular movement: the Cambodian Spring of 2013. Sparked by an election seemingly rigged by the country’s corrupt Prime Minister Hun Sen, mass protests in Phnom Penh form an almost accidental backdrop to director Chris Kelly’s powerful film. For the most part, it’s a raw, intimate portrait of grassroots activism and sheer, dogged moral courage. It’s a reminder that big moments in history are made up of individuals bold enough to take a stand – and, in this case, who simply have nothing left to lose. At its heart is a story of injustice that will set you teeth on edge. 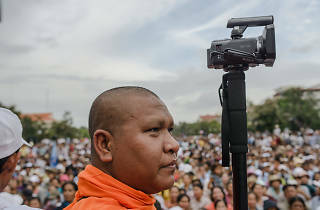 Kelly, a photographer turned filmmaker who spent six years capturing the film’s startling fly-on-the-wall footage, introduces us to a group of Phnom Penh villagers who watch helplessly as sand is pumped into the neighbouring lake. This patch of water, we discover, must be filled for development work. Their homes will be lost – and with little compensation. The village isn’t taking this lying down, however. Two of the women in this throng – Toul Srey Pov and Tep Vanny – decide to kick back, taking their kids, friends and neighbours with them on an impassioned protest that soon becomes a crusade for land rights. A campaigning Buddhist, Venerable Luon Sovath, joins the struggle. Soon, the company responsible, the government, even the ineffectual World Bank are in their sights. It’s an ‘Erin Brockovich’-like story that’s elevated by this remarkable trio. The charismatic Sovath is an unwavering advocate for the cause, even when his Buddhist elders threaten him with expulsion, while the two redoubtable women reinvent themselves as fearless campaigners thrust into the public eye. Kelly records it all through a sympathetic but unobtrusive lens. There’s an inevitable sense of gloom at times, unsurprising amid all the repression and corruption, and there’s a sting in the tale that’s signposted early on but still manages to knock you off balance. But for all its sombre revelations, ‘A Cambodian Spring’ exudes a powerful sense of possibility. In these days of popular protest, it makes for an enthralling case study.